John has been amazed by the level of support from people not only locally, but all over Australia, and even internationally. 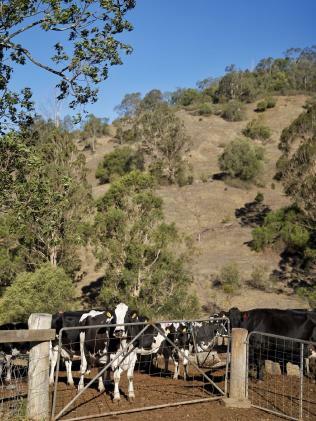 TIMES are tough for NSW dairy farmer and owner John Fairley - so tough that last week, John took to Facebook to ask the local community for help feeding his 130 cows and calves through the winter. "The time has come to swallow my pride and ask for help," he wrote to his 7000 Facebook followers. 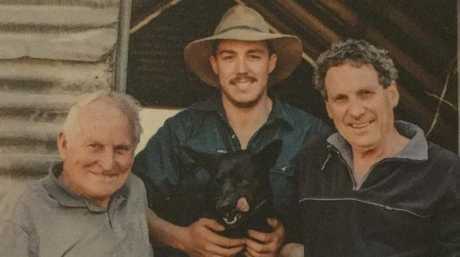 John, his wife Sally and 29-year-old son Tom run Country Valley in Picton, NSW, along with a handful of other local farmers from Camden, the Southern Highlands and Nowra. And their last big rainfall was back in March 2017. 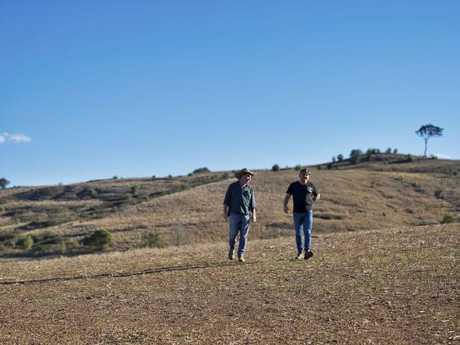 Usually, the Fairley family would grow their own crops to feed their cows - but with the drought, in the past three months, their grain only has about 10cm. As a result, every two weeks, the family orders in 25 tonnes of hay to feed their animals at the cost of a whopping $9000 each trip. The family also buys extra grain, costing another $9000 every six weeks - and that's just feeding their animals. Drought has badly affected John’s property, and he’s been forced to buy thousands of dollars of feed to keep his cattle alive. 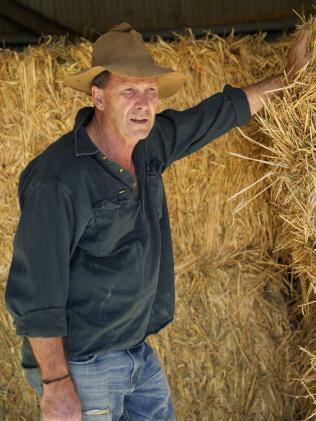 "It's getting harder and harder to get a decent run of seasons so we're not spending so much on hay and feed," John told news.com.au. "My 83-year-old dad's never seen it worse than this." With bills and debt skyrocketing, John chose to take a chance and ask his local community for help. Originally inspired by a Seinfeld episode where Kramer adopts a portion of road, John decided to post his much cuter Adopt-A-Cow idea online. Donating $135 will earn you a tour of the farm. But donate a whopping $1350, and you'll be able to 'adopt' a cow or calf. With this, you'll receive a certificate and picture of your adoptee, experience a day at the farm to meet them, milk them, feed calves and even name them. Like most farmers, John was reluctant to ask for help. For four weeks, he'd been debating about posting. "I couldn't press the button. I was shaking. "I just didn't want to ask for help, it was a huge deal. But now I've done it, it's been incredibly emotional." John’s farm is a multi-generation property that they’re desperate to keep going. Since posting, the Fairley family have received over 800 emails of support. In the first hour alone, one man called to adopt cows for each of his five grandchildren, donating an astounding $6750. "We've had everything from kids wanting to put in their pocket money to pensioners wanting to donate $10 every two weeks," John said. Thirty-six hours later, the family had received an incredible $22,000 deposited into their account - much to the family's surprise. Having sponsored community events, teams and supplied their dairy products to schools and churches for the past 15 years, John hoped the local area would support him when this time, he needed help. 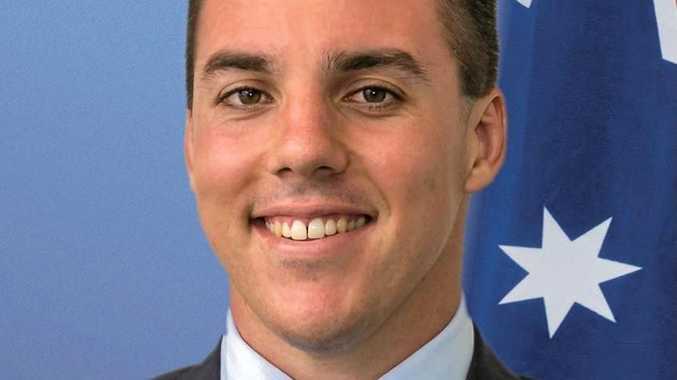 "But oh, boy - I've had support from all over Australia, and even the US and UK," he said. "I was in tears. Eight months of tension and stress just seemed to train out of my body." John's 83-year-old father Bob Fairley was sceptical at first, but now shakes his head in amazement. "When I first heard about it, I thought you were an idiot," Bob told his son. "But congratulations on thinking outside the box." Selling was never an option. When the discussion came up, John and his son Tom looked at each other from across the table and said, "Nope, we just can't do that." John's family first began farming in 1855, fresh off the boat from Ireland. They jumped straight on a horse and cart to Picton, where they bought their first land - land that's still in use by the family today. John grew up surrounded by family on the farm, and hopes his grandkids will experience the same joy of playing along the creek beds and hills he did as a boy. The brown hills on John’s property are usually green with plenty of food for his cattle, but the drought has hit hard. 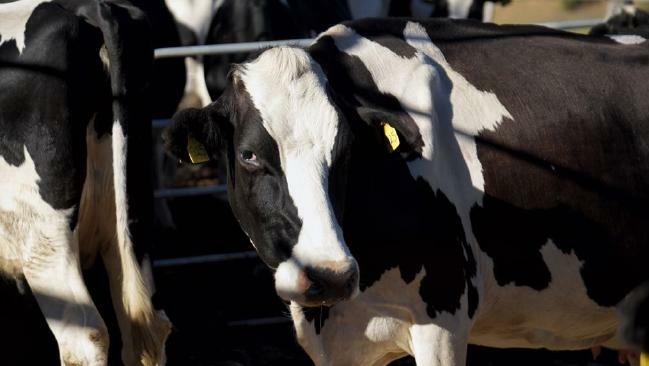 Since 1958, they've raised daughter after daughter to produce quality dairy products, estimating to have had over 20 generations of heifers in their care. Most recently, the drought - as well as the onslaught of cheap $1 milk - has taken its toll on John, as well as many, many other Aussie farmers. Last year, Country Valley had a $50,000 loss - a figure John estimates to be much higher for farmers with more animals. "Consumers just want prices down. They expect everything for nothing, but what you're getting in that cheap milk is over-processed," he said. "Whatever Bessy gives me, I just put it in a bottle [after pasteurising]. It's just milk, the way it used to be - it just tastes better." The support has been so immense, donators are now having to co-parent their adopted animals. The Fairley family are even donating to the Dilly Drought Drive, an initiative supporting local farmers through drought. Want to help? Email JohnFairley@countryvalley.com.au, or call the office and speak to Tom or Sally on 02 4677 2223. John’s family was sceptical of his idea to ask strangers for help, but they’ve been overwhelmed by the support.